It is an easy drive from your accommodation at Alexander Spa Motel to Mount Ruapehu. The mountain is 2,797 meters high and is covered with snow during the winter season from late June or July to early spring. During the warmer season people enjoy sightseeing, hiking and climbing, tramping or walking the rugged mountain terrain or taking a chairlift to view the more elevated parts of the mountain. There is also opportunity for hunting, game fishing, mountain biking, horse riding, rafting and scenic flights. But for more information on snow activities see. However Mt Ruapehu offers a huge and diverse experience for the enjoyment of all visitors. Too much to tell really – you have to visit. We invite you to stay with us at Alexander Spa Motel – a convenient place to stay. 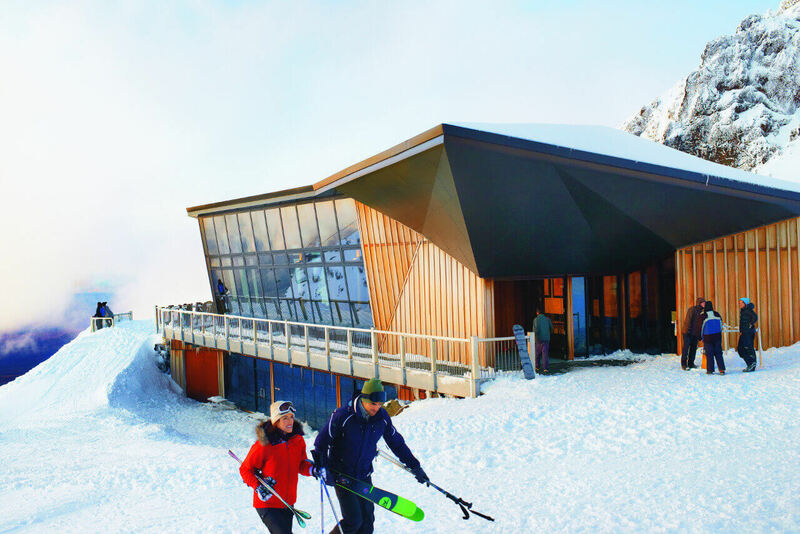 In summer, at Whakapapa, scenic chairlift rides and guided hikes to Ruapehu’s Crater Lake are also available. During the colder months, normally July to late spring, visitors are able to enjoy a wide range of snow activities including skiing, snowboarding tobogganing, riding the chair and ski lifts or even just playing in the snow. Mount Ruapehu offers hospitality such as the Chateau Tongariro which located close to Whakapapa ski-field on the slopes of Mount Ruapehu or The Knoll Ridge Cafe at 2020 metres in elevation (pictured). We invite you to share this site on your social media.